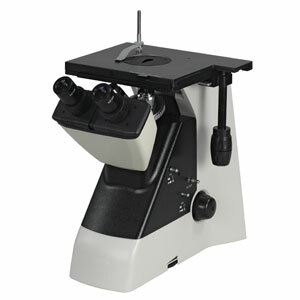 New design is compact, yet with many built-in features and the magnification capability to handle a variety of different applications. At a very affordable price! Perfect for routine metallurgical applications in an industrial or educational environment. Rugged construction and optional lenses available. Includes both 10x and 12.5x eyepieces; both styles able to accept a 19mm diameter reticle (note: requires 19mm c-ring). Stage Integrated double layer mechanical stage with coaxial controls, 180mm x 155mm. One stage clip.